Following the Bulls’ loss to UCF on Black Friday, USF fans draped a sign over a section of padded wall around Raymond James Stadium calling for a change of staff. “Fire Gilbert” was accompanied by cartoonish flames. Now, the Bulls have a new offensive coordinator and quarterbacks coach — Kerwin Bell. In his introductory press conference Wednesday, Bell wasted no time telling people what he wanted to bring to the football program. “We’re going to do our best to be exciting and to utilize our players to the best of their abilities and try to find the athletes that can fit our system,” Bell said. 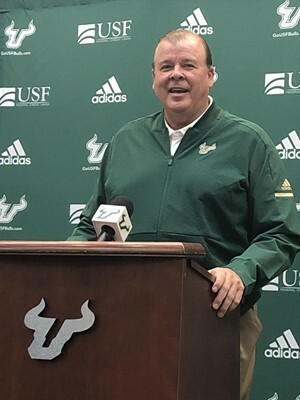 Former offensive coordinator Sterlin Gilbert ran a veer-and-shoot offense with USF last season, an offensive scheme which is designed so passes can lead to power runs. Bell said he plans to run his offense a bit differently — a pro-style passing game with a lot of spread concepts, which involves, as the name implies, spreading the defense from sideline to sideline, expanding play options. Bell will inherit an offense filled with experienced players at almost every position. 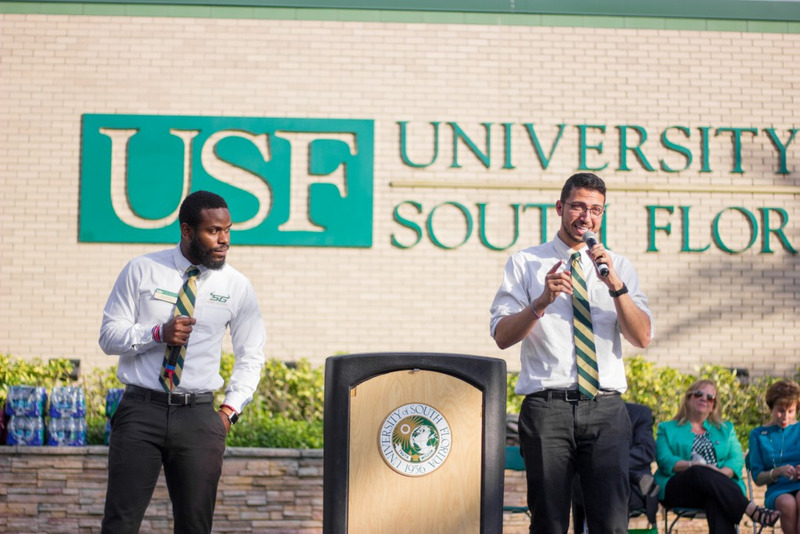 Quarterback Blake Barnett, running backs Jordan Cronkrite and Johnny Ford, tight end Mitchell Wilcox and wide receiver Randall St. Felix are all returning to USF next season. Bell’s career as a player and a coach has compiled into three decades of football experience and cited the influence of Lindy Infante and Steve Spurrier on how he came to be a coach. In Bell’s last season as head coach at Valdosta State with a perfect 14-0 record and a Division-II championship tacked on, Bell’s offense ran 66 plays per game. USF averaged 75 plays per game last season.